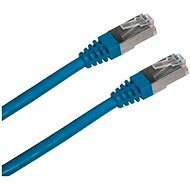 This top FTP Cat5e cable is designed to connect your computer to a hub, router, or other network components. This fully-shielded twisted pair is made up of four pairs of conductors, where not only the individual pairs are shielded, but so are the single wires. 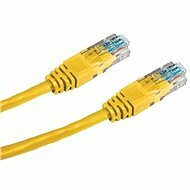 The yellow cable patch cable supports speeds of up to 100Mb/sec and has an RJ45 connector on each end. 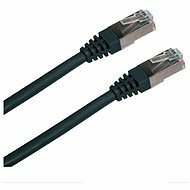 If you are looking for a reliable networking solution then this Datacom cable is the perfect model for you, at a very good price.? For shipping to other EU countries visit this page Datacom CAT5E FTP yellow 0.5m. 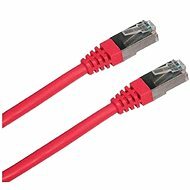 Für Versand nach Deutschland, besuchen Sie bitte Datacom Netzwerkkabel CAT5e FTP gelb 0,5 m. Chcete doručit zboží do Česka? Prohlédněte si Datacom CAT5E FTP žlutý 0.5m. Chcete doručiť tovar na Slovensko? 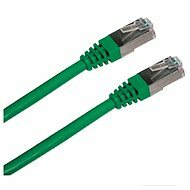 Prezrite si Datacom, CAT5E, FTP, 0,5 m, žltý. Für Versand nach Österreich, besuchen Sie bitte Datacom Netzwerkkabel CAT5e FTP gelb 0,5 m. Magyarországra történő kiszállításért tekintse meg ezt a termékoldalt: Datacom CAT5E FTP 0,5 m sárga.